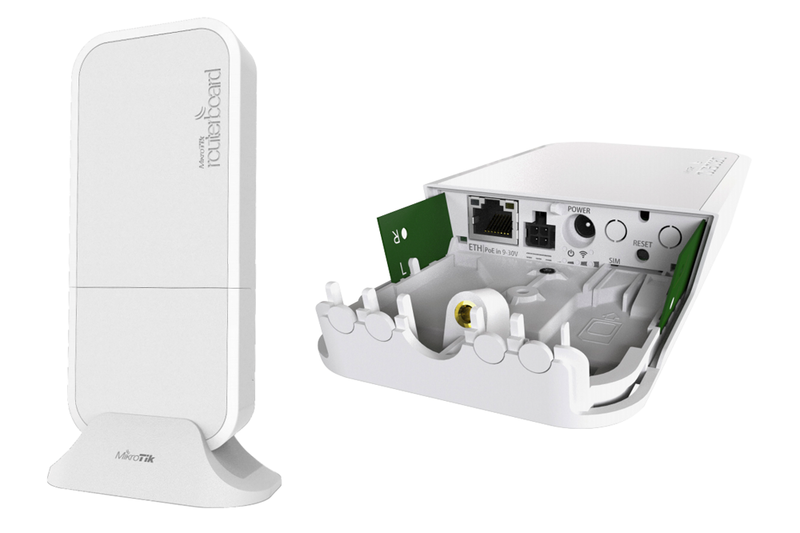 The wAP R is a small weatherproof 2.4Ghz wireless access point with a miniPCI-e slot (so you can use your own LTE card) and LTE antennas. Unit comes with one 10/100 Ethernet LAN port for your wired devices and comes in a complete package with the Huawei ME909s-120 LTE Card. The weatherproof device can be mounted outside your house, in the vehicle, on your porch or anywhere else where you need wireless access from your phone or computer. It also includes a desktop stand so you can put it inside the building near a window. Unit has the several powering options – 9-30V PoE-in by Ethernet port, DC jack and automotive connector, very handy in mobile devices like car, bus or train.